Three years ago, I was hit with bed rest right before the start of our school’s IB PYP Exhibition (a student-led unit in which students exhibit their abilities to direct their own learning on a topic of their choice). Though disappointed to miss out, I was pleased to discover that I could still mentor groups via Skype, which I’ve continued to do each year since. However, we still had some hurdles to overcome with our unique mentor “meeting” setup. How to organize our ideas? How to keep track of when we’d meet next? How to exchange links to helpful resources? I turned, as always, to Google apps, whipping up the collaborative little beauty below to send to the students via the teacher. With more than a little extra time on my hands (remember the whole bed-rest thing? ), I found fancy fonts, froze the top rows, and everything. It was a spreadsheet to be proud of, and I was excited to see it in action! Only… it didn’t quite perform to my expectations. For one thing, the kids didn’t have access to 1:1 tech, so they usually only saw the document through their teacher. For another, they were frankly too busy to be bothered with updating yet another form! Exhibition is one fast-moving, action-packed unit! Ultimately, the kids didn’t get a lot of the resources they needed in a timely manner, and our communications often felt encumbered. So, as this year’s exhibition kicks off, we’re keeping it as functional as possible. As we Skype (something I continue as the school is too far from where I live), I type notes in a basic Google Doc just to keep track of the different groups’ ideas. Afterward, I’m emailing the teacher easy-to-print feedback or even pasted-out articles to get resources in those kids’ hands asap! In the end, it’s possible that this problem might be unique to my quirky infatuation with creating neat and color-coded spreadsheets. However, the general principle applies universally. 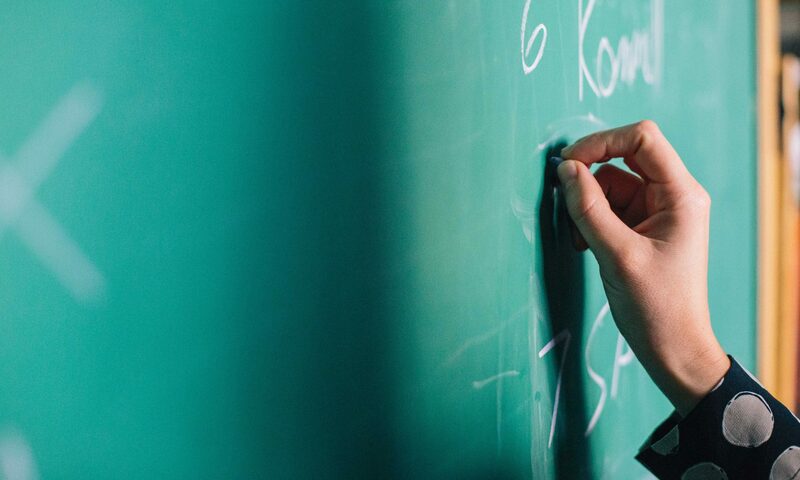 When we keep our sights on what’s best for the kids, we are less likely to get caught up in bells, whistles, and all-around helpful-in-theory-but-not-in-practice methods and resources. Here’s to a better year of exhibition mentoring! I’m Finally Using the PYP Key Concepts! I hope I’m not the only one who struggled with all the lingo when starting out as a teacher at an IB PYP school (International Baccalaureate Primary Years Programme). Units of inquiry? Learner profile attributes? Transdisciplinary skills? The key concepts were no exception. I had a token key concept “parking lot” (laminated poster) at the back of my classroom, where we’d occasionally stick up questions for the unit at hand (that would often get forgotten until they fell off, littering the corner depressingly behind the door). Form: What is adaptation like? Function: How does adaptation work? Change: How is adaptation changing? Reflection: How do we know about adaptation? Over the years, I gained a much better understanding and appreciation of what the IB was all about. But I still struggled making those key concepts genuinely accessible. That’s why it was with surprise and enthusiasm when it finally clicked for me as I’ve started writing provocation posts. After carefully curating resources to help inspire inquiry into bigger concepts, I write possible questions one can use for discussion with students. That’s where the key concepts have come in. Not only do they help me consider questions, but they help me see the resources with different lenses. For instance, in my recent “How People Get Their Food” post, the key concepts of perspective and responsibility made me think that it would be interesting to discuss why we should even consider why people eat differently around the world–I realized that with the resources provided, big concepts this question could elicit might include economics, geography, politics, nutrition, cultures, and more. The key concepts are finally valuable tools for me to to unearth bigger concepts! This morning, the School of Life Youtube channel shared their video, “Why You Can Change the World.” It also contains why so many people feel they cannot. I find this to be a resource that has great potential to help students consider their personal impact on the world’s progress, along with inquiries into the nature of change, history, and confidence. The second resource that lends itself to an inquiry into change is this Huffington Post photo series of work done by women around the world. In many instances, the juxtaposition of old world tasks/technology with modern tools or clothing provides ample food for thought for students to consider how/why things are changing throughout the world. The captions also provide invaluable background to guide their thinking. Click the above link or any of the photos for more. What do you notice about how people change? Why does work look different for people across the world? How are confidence and change related? This is part of a series of provocations designed to align with the IB Primary Years’ Programme transdisciplinary themes. Click here for more. A while back, I shared a provocation to support one of the IB Primary Years Programme Units known as Who We Are. This week, I want to share one that can be used with How We Organize Ourselves. Take a look at this fascinating video to find out how the US went about the problem of an exponentially growing volume of mail. How are problem-solving and organization connected? How did the zip-code solution change over time? How might future zip code solutions impact people? Why do we keep changing the way we organize systems? What is our responsibility to keep changing the way we organize systems? In the International Baccalaureate Primary Years Programme (IB PYP), teachers organize their curriculum into six units of inquiry with broad titles. One of them is designated as the “Who We Are” unit, and it’s always a pleasure to watch my students investigate the central idea within this framework. 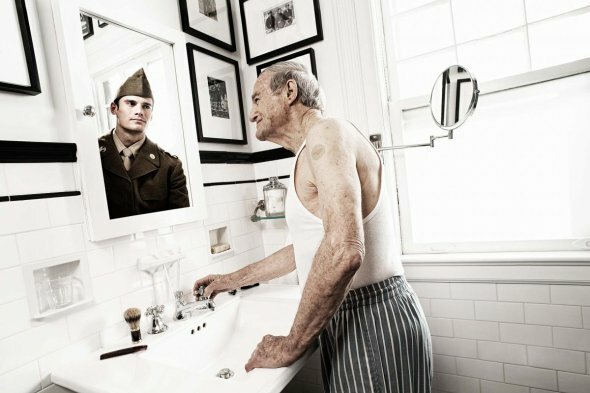 A powerful resource to help provoke their thinking is a photo series by Tom Hussey called, “Reflections” (see his site for more). What does reflection look like for you? 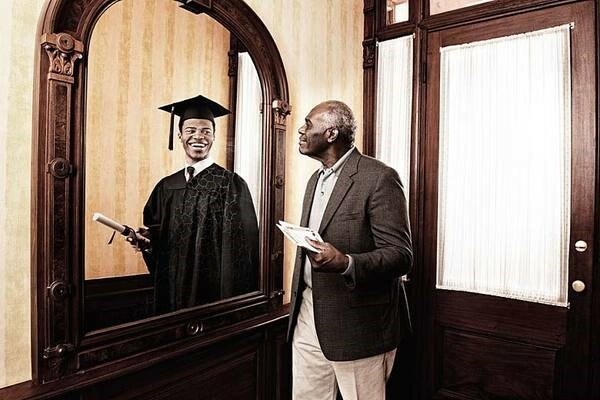 How does reflection help us figure out who we are? How does looking back help us move forward? 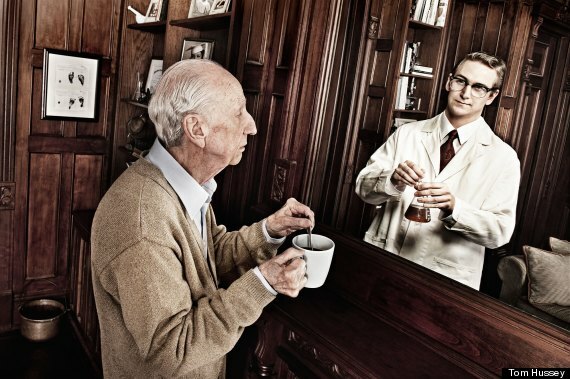 Why is reflection sometimes difficult for people? 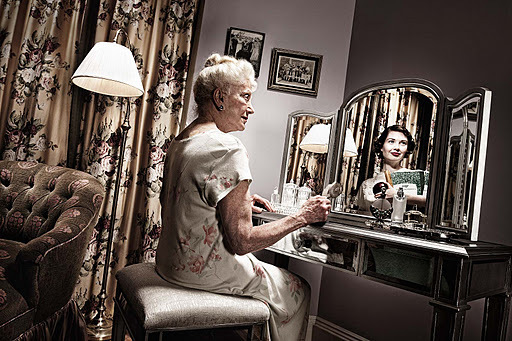 How does the process of reflection change for people over time? What causes people to become more interested in reflecting?